Activity Explorer has been rebuilt from the ground up to provide quick and easy access to the content in Imagine Language & Literacy to teachers and students. In addition, teachers can assign activities directly to their students in order to provide custom intervention, enrichment and whole-class instruction. 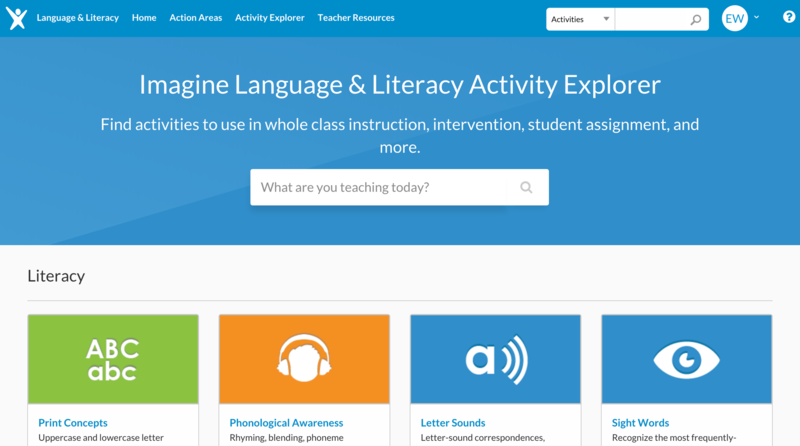 Teachers want to easily find and share content from Imagine Language & Literacy and assign it to their students to provide teacher-guided intervention, enrichment and whole-classroom instruction. Teachers can use the new Activity Explorer to provide their students custom intervention, enrichment and whole-class instruction. The new Activity Explorer is available for Chrome browser users. Other browsers and mobile device users will not have access to it.